The Family Table with Genevieve: Something New for Your Family Table Week #31....All About Chickpeas!!! Something New for Your Family Table Week #31....All About Chickpeas!!! Hey friends! I hope you all had an amazing weekend! Ours was super low key and just what we needed! I was back and forth on what recipe I wanted to share today and was thinking.... I have a new obsession with all things chickpea.. You know, garbanzo beans, chi chi beans... whatever you may call them! I feel like I am using them more and more in recipes and thought I would round up a few of my favorites. I mean, a few years ago all I did with chickpeas is add them to my salad at the salad bar....now I find myself buying them in bulk! A few weeks ago we tried these chickpea gyros. Ummmm....you need to make these ASAP. We love these BBQ Cauliflower Tacos, filled with roasted chickpeas. And this Golden Soup topped with roasted chickpeas is perfect this time of year. After weekends filled with eating rich Fall foods and holiday treats, this soup is just what your body needs! 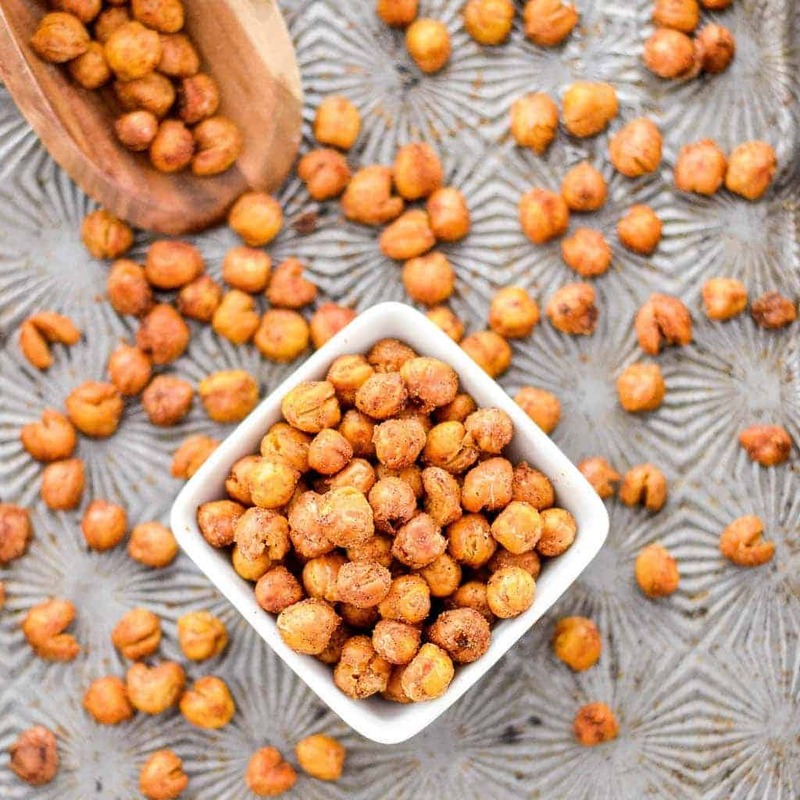 And speaking of roasted chickpeas...they make the best snack!!! Just rinse and drain a can (or 2) of chickpeas and lay out on a baking sheet. Drizzle with a little olive oil, salt and pepper and your choice of seasonings. We love to add paprika or the Everything but the bagel seasoning from Trader Joes. Roast at 425 for about 25-30 minutes and you have a perfect little snack! Obviously we love all things hummus too! Do you have any favorite dishes with chickpeas as the star?? ?